This is a scheme that enables employees and pensioners to give to any UK charity straight from their gross salary (before tax is deducted), and to receive immediate tax relief of up to £4 for every £10 donated. Shop through Amazon and donate to the charity at the same time – at no extra cost! Amazon donates 0.5% of the price of your eligible AmazonSmile purchases. Support our charity by starting your shopping at smile.amazon.com and select the Family Holiday Association as your chosen charity! 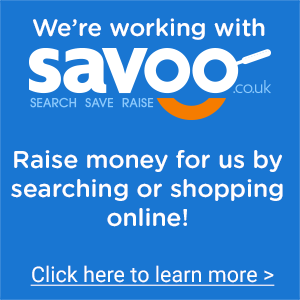 You can now show your support for the Family Holiday Association when you use Savoo Search, Save and Raise as your online shopping platform. Your efforts cost you nothing because Savoo donates on your behalf. Find out more here. Shopping online has never felt so rewarding thanks to this shopping and price-comparison website. Use the site to shop and compare prices for products from thousands of retailers including Tesco, Amazon and John Lewis. There are also exclusive offers and deals available on the site, and a percentage of every purchase you make will be donated to your chosen charity at no extra cost to you. The money comes from retailers who pay commission to the site whenever a sale is generated. Half of that commission will then go to us, if you select the Family Holiday Association as your charity. Find out more here, install their handy ‘Shopping Bar’ and start fundraising while you shop! Are you an eBay addict? The great news is that you can turn your sales into valuable funds for the Family Holiday Association. Restaurant go-ers can now make their next reservation through ChariTable Bookings to raise money for charity. Users can choose from a growing list of over 4,500 restaurants across the UK, and for every diner in the party £1 will be donated by the restaurant, to a charity of the user’s choice. To select the Family Holiday Association as your charity of choice, visit the website or download the iOS app today. Scrap donations raise about £35 for the charity (depending on the price of metal) while auction cars can raise much more. To arrange the donation of a car, visit www.giveacar.co.uk or call 020 7736 4242, quoting Family Holiday Association as your preferred charity.